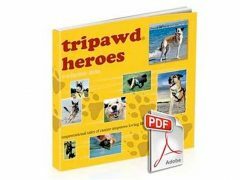 Listen to the podcast from our recent Tripawd Talk Radio show with acclaimed trainer and dog behavior expert Sarah Wilson. 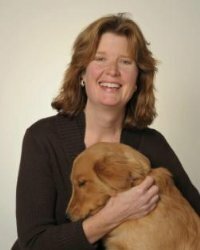 Sarah is the author of numerous dog training books who shared her expertise in the Nature documentary Why We Love Cats and Dogs on PBS which featured the story of our cancer journey with Jerry. Listen now using the widget below or click the iTunes button to download and listen offline. 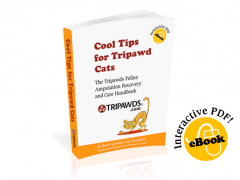 Visit the Tripawd Talk Radio Program Page for all audio archives and the schedule of upcoming shows. GREAT podcast guys!! Sorry I missed it live on Saturday! I found the herding dog space issue vs retriever space to be very interesting…my quadpawd is horrible with other dogs coming into her space…specifically retrieiver dogs! Guess I need to buy her book(s).